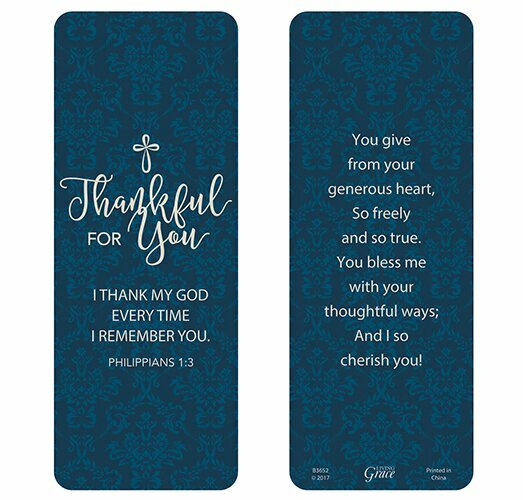 This jumbo bookmark features a laminated body for extended use in your Bible or prayer book. You give from your generous heart, So freely and so true. You bless me with your thoughtful ways; And I so cherish you!